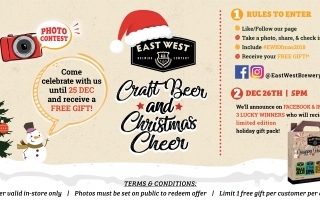 This Christmas season, East West Brewery will be doing a free giveaway of their exclusive holiday gift beer packs! 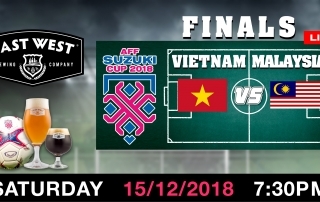 Visit East West Brewing Co.
We’re onto the FINALS of the AFF Suzuki Cup 2018, catch all of Vietnam’s games LIVE at East West Brewery! 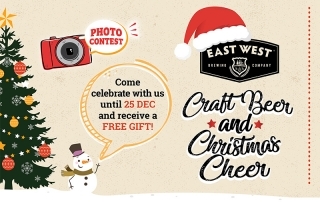 WHERE: East West Brewing Co.
Holiday Photos & Free Giveaway! 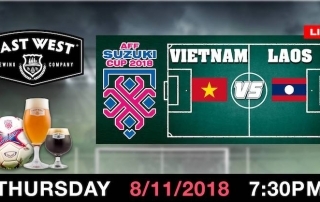 It’s the beginning of the AFF Suzuki Cup 2018, catch all of Vietnam’s games LIVE on their large projector screen at the brewery!